The Department of Environmental Protection published 58 pages of public notices related to proposed and final permit and approval/ disapproval actions in the April 27 PA Bulletin - pages 2007 to 2065. The changes involve 2 locations-- Goldfinch Lane in Jackson Township and William Penn Avenue in East Taylor Township. Comments are due by May 28. Questions or file review requests should be direct to Dana Drake, DEP Southwest Regional Office, 412-442-4000. For more information, read the entire PA Bulletin notice (page 2064). 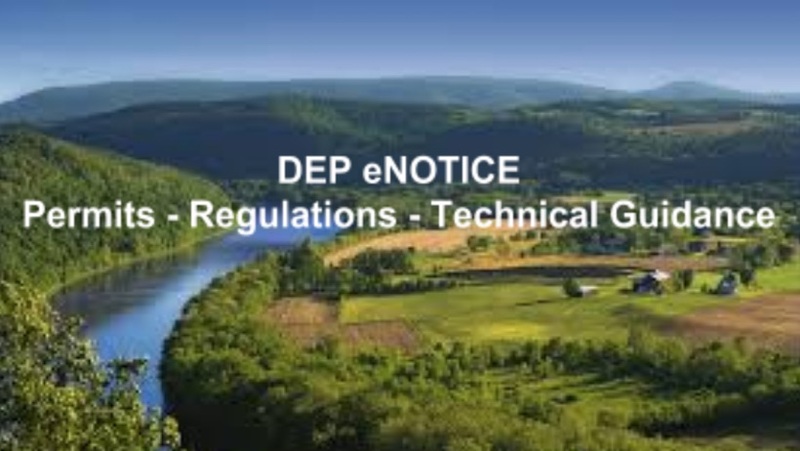 Visit DEP’s Mariner East 2 Pipeline webpage for more information on permits and compliance actions related to this pipeline project. The Public Utility Commission published notice in the April 27 PA Bulletin inviting comments on a proposed 2021 update to the Technical Reference Manual for Energy-Efficiency and Demand Side Management Rules for PA’s Alternative Energy Portfolio Standards. The proposed update to the Technical Manual is available online-- Volume 1, Volume 2, Volume 3, Appendix A, Appendix C and Appendix D.
Click Here for a copy of the Tentative Order. Initial comments are due within 30 days of this notice. -- Oil and Gas Well Plugging project in Clearfield County. The Department of Environmental Protection has available a current list of Abandoned Mine Reclamation, Acid Mine Drainage, Surface Mine Reclamation, Cleaning Out and Plugging Oil and Gas Wells, Waterways Engineering (Concrete Dams/Concrete Lined Channels, Walls and Box Culverts, etc. ), Hazardous Site Remediation, Removal and Disposal of Underground Storage Tanks, and Wetland Restoration projects available for bidding. Click Here for the list. The Department of Conservation and Natural Resources has a current list of bid proposals for construction projects in State Parks and State Forests available online. Click Here for the list. 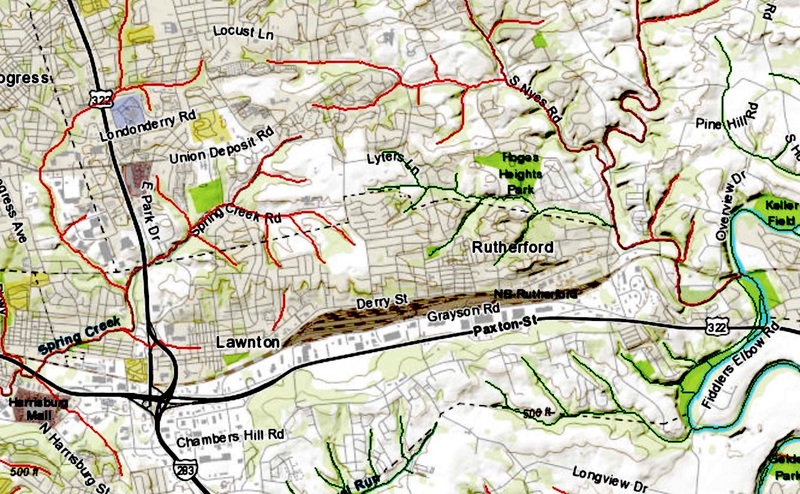 40% Of Streams In PA Don’t Meet Water Quality Standards, But What Does It Mean To You? The Department of Environmental Protection last week released its biennial report on water quality which said 40 percent of streams and rivers in the state do not meet federal Clean Water Act standards. So, what does that mean to you? You can check what the water quality is in streams near you by using an online interactive map of Pennsylvania developed by DEP with information from their latest report. 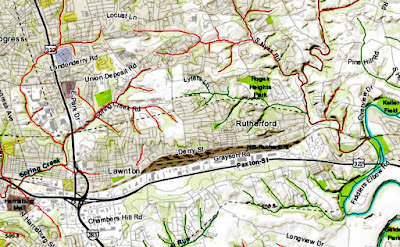 You simply zoom in on your area and see where all the red lines show up. [Red is bad.] Click on the line and it will provide more details on water quality in the stream. You can also change the information the map is showing you to look for only streams impaired for aquatic life, or recreations uses, for fish consumption or for use as water supplies. You can also look for specific stream names and other features. Click Here to check out your nearby streams now. 1. Join a local watershed or land trust group and learn about the local issues what needs to be done and support those efforts by volunteering, donating and contributing your skills. To find out which groups are near you, call your county conservation district and ask them how to get involved. 2. Call your legislator. In the 43 counties making up the Chesapeake Bay Watershed alone there is a need for nearly $260 million a year more in funding to support local projects to improve water quality. You can easily double that annual need for the entire state. -- The Growing Greener Coalition, a broad coalition of environmental groups from all across the state, is fighting to protect the environmental project funding we have [because many in the General Assembly and the Governor want to take some of it away] and asking for more financial support for local projects to improve water quality all across the state. -- The PA Parks & Forests Foundation is involved in trying to protect existing funding and advocating for more funding for State Parks and forests and recreation. They are advocating for $100 million a year in financial support. -- Gov. Wolf has proposed the $4.5 billion Restore Pennsylvania proposal to make historic investments in green infrastructure and other projects across the state supported by a severance tax on natural gas. 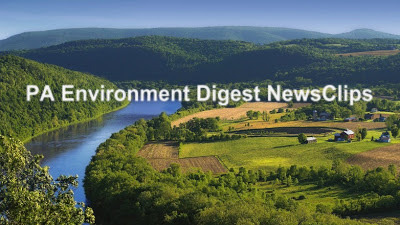 The Growing Greener Coalition and many environmental groups have supported the kinds of environmental investments proposed by the Governor, but have opposed his proposal to take some environmental project funds away to fund the operating costs of DEP and DCNR. Learn about these funding issues, then call or visit your local legislator. The General Assembly has to adopt a state budget for next year by June 30, so learn fast. Is It Safe To Swim, Go Fishing In Codorus Creek, York County? PaEN: Litter In Our Waterways, Recycling Slow-Down, What Now? The organizers of the 21st Annual 3 Rivers Wet Weather Sewer Conference on November 13-14 in Monroeville near Pittsburgh have issued a call for abstracts. Proposals are due June 7. To help educate municipal officials, engineers, managers, and public works directors involved in seeking solutions to southwestern Pennsylvania’s wet weather issues, 3 Rivers Wet Weather holds an annual two-day conference for more than 400 attendees. Review the agenda for the 2018 Conference to get an idea for what kinds of topics are covered. Click Here for all the details. Questions should be directed to Tracy Schubert by sending email to: tschubert@3rww.org or 412-578-8197 or Jodi Gamble by sending email to: jgamble@3rww.org or 412-578-8375. For more information on programs, initiatives and other upcoming events, visit the 3 Rivers Wet Weather website. The PA Conservation Heritage Project and its partners will hold a special screening and panel discussion of the WITF Penn’s Woods - Cradle of Conservation documentary on May 29 at the State Museum of Pennsylvania in Harrisburg from 5:00 to 7:00 p.m. The hour-long documentary weaves together the state's rich environmental history, highlighting accomplishments and challenges along the way. When King Charles II granted William Penn his North American colony in 1681 Penn's Woods was lush with trees. According to Mark Madison, Historian for the U.S. Fish & Wildlife Service, "The forest canopy was so dense it's been said that a squirrel could travel across Pennsylvania branch to branch without ever touching the ground." But by 1900, the state had lost more than 60 percent of its forests. Dr. Joseph Rothrock, the father of Pennsylvania Forestry, called the vast wasteland the "Pennsylvania Desert." During the height of the Industrial Revolution coal, iron and steel production voraciously gobbled up resources. Along with economic booms and revolutions in natural resource extraction, came an environmental price. Pennsylvania found itself poised to become a pioneer in environmental protection. Professor of History & Environmental Studies at Penn State Altoona Dr. Brian Black teaches his students about this legacy. "We have used the natural resources with all different kinds of ethics. 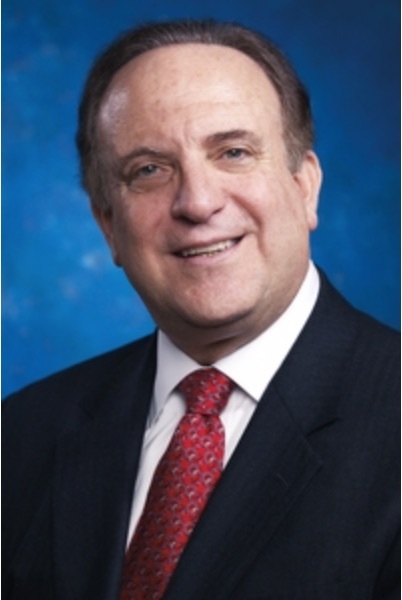 And just like we have can say that we're the cradle of industrialization in the United States,” Dr. Black said. “We can also say that we're the cradle of the conservation movement." Pennsylvanians set about restoring the state's environmental riches and in the process helped shape the national conservation and environmental movements of the twentieth century. "We had great conservationists totally transform how we look at the environment and how we protect it. Gifford Pinchot basically saved the nation's forests. Rachel Carson woke up the whole world to the dangers of toxins and pesticides. Anybody can make a difference," reflects Mark Madison. Today Pennsylvania's ecosystem is in the midst of transformation. As we grapple with the environmental impact of the Marcellus Shale gas industry and come to grips with the growing challenges of global warming, there are lessons to be learned from the past. According to PA Parks and Forests Foundation President Marci Mowery, "Pennsylvania's conservation heritage is important. It defines who we are and defines the places where we grew up. It defines the places where we recreate. We can't be informed citizens if we don't understand and know our history and we can't keep an eye out for any red flags that might be arising because we're going down a similar path." Click Here to watch this new documentary online. Click Here to watch documentaries in this series. Explore more information, watch this and other other documentaries in the Pennsylvania Conservation Heritage series and more online at the PA Conservation Heritage Project website. On April 25, Senators Andy Dinniman (R-Chester), Daylin Leach (D-Montgomery), Katie Muth (D-Chester), Tom Million (R-Delaware) and Tim Kearney (D-Chester) wrote to the Chairs of the Senate Environmental Committee asking for a postponement of the April 30 reconfirmation hearing on DEP Secretary Patrick McDonnell until investigations into the Sunoco Mariner East Pipeline project are complete. “Due to the serious nature of these concerns, we feel strongly that there should not be any consideration or reconfirmation vote in committee or on the floor until these concerns are fully addressed and publicly disclosed. Specifically, the memo cited the multiple criminal and ethical investigations currently underway in the problematic and controversial Mariner East pipeline project, including those being conducted by the Chester County District Attorney, the Pennsylvania Attorney General (at the request of the Delaware County District Attorney) and the Pennsylvania Ethics Commission. In fact, according to reports, a grand jury has been empaneled in West Chester to review concerns for legal action. In addition, the Senators Dinniman, Leach, Muth and Killion raised a series of ten questions to McDonnell related to DEP’s management and oversight of the Mariner East pipeline project that they asked to have answered in detail prior to consideration of his reappointment. They included concerns regarding DEP’s sharing of pertinent environmental information, management of public and environmental safety issues, response to impacts local water supplies and geological stability, and approval of various permits. Sen. Dinniman also noted that on Wednesday a sinkhole opened up along the Mariner East pipeline route in Delaware County, according to news reports. Sen. Dinniman said his concerns about the Mariner East pipeline project’s ongoing impacts to environmental protection, public safety and the overall quality of life in his district are ongoing and were further raised by recent troubling news reports concerning DEP involvement with and close ties to the project. “At the end of the day, it’s a matter of transparency. It’s a matter of the truth. We need to know more, and the public deserves to know more,” he said. Click Here for a copy of the Senators’ memo.